Hello, my name is James Deibler. 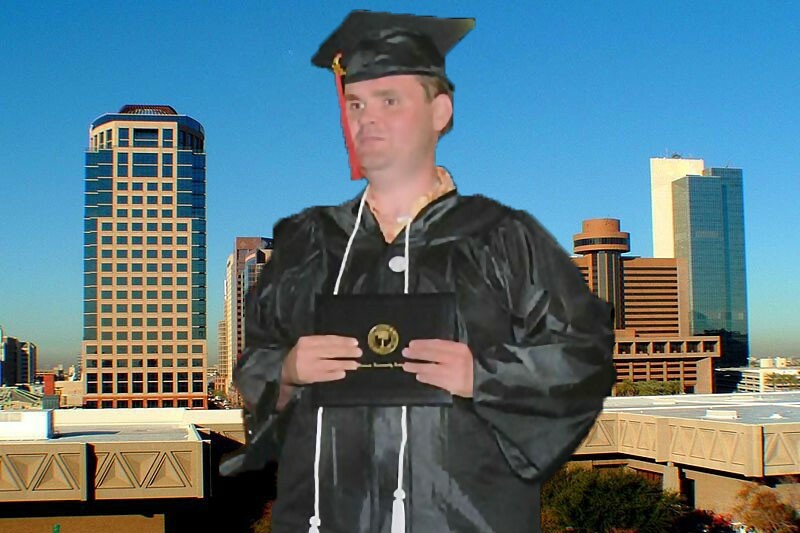 I am an adult with high-functioning autism who is currently attending Arizona State University. I believe that college education must be affordable for all Americans. My dream has always been to graduate from a university. For years, I have been told that I would never graduate from high school, much less be a college student. At first, I believed what everyone had told me: “an adult with autism would never be successful, that they are only Developmentally Challenged.” However, with the dedication of my friends and family, I knew that I would be able to prove everyone wrong. I knew that I would rise above the prejudice that I had once faced, and make it in society. Last year, I graduated from Glendale Community College with an Associate Degree in General Studies and a Photography Certificate. However, my dream is slowly disappearing before my eyes. As you all know, the expense of a university is atrocious. I have taken out student loans and have had the assistance of Financial Aid. Sadly, by this time next year, I will surpass the 600% of Pell Grant Eligibility. Here’s where I really need your help. The chances of me obtaining a job are slim, as it is hard for me to find an employer who is willing to work with my disability. So, by taking out more loans, I am placing myself deeper and deeper into debt. Without the assurance of a job, I am scared. I want this degree more than life itself. Please help me fund my dream. Please help me fund my future. Once obtained, I want to use my Bachelor's degree to work with local government in the disability sector. I would help to improve people with disabilities in all communities. I know Bachelor's Degrees can get jobs easier than high school diplomas and Associate's Degrees. Thank you all for your time in reading my story. Last April 2018, I injured my elbow while I was walking north on 7th Street and Glendale Avenue in Phoenix, AZ. A month later, they put a metal plate on my elbow to help my bones heal all thanks to the donors who donated to my GoFundMe page. During the Government Shutdown, please continue to donate on this page until the federal government is reopened. Thank you for the donation that helps me continue my education at Arizona State University. Please tell your friends and families about my Go Fund Me web page. Thank you for the donations you made on the website. Please continue to donate to and tell your friends about my Go Fund Me to continue my college journey at Arizona State University. Thank you for the support you have given me during the difficult times when college is getting expensive for all college students across America. We need to make college more affordable for students so they don't drop out. Hey, James...I saw a news story today about a woman who was raising money for college tuition via crowdfunding. And, she didn't have ANY learning challenges. Maybe you should reach out with a press release. I admire James' dedication to education.